The KD-7000 series are easy to clean and easy to use. Double-stopper protection, strong reinforced & removable Stainless Steel platform, Acrylic faceplate protector and modular construction make these scales extremely durable. This scale includes a removable clear LCD cover that protects the buttons and LCD from damage. 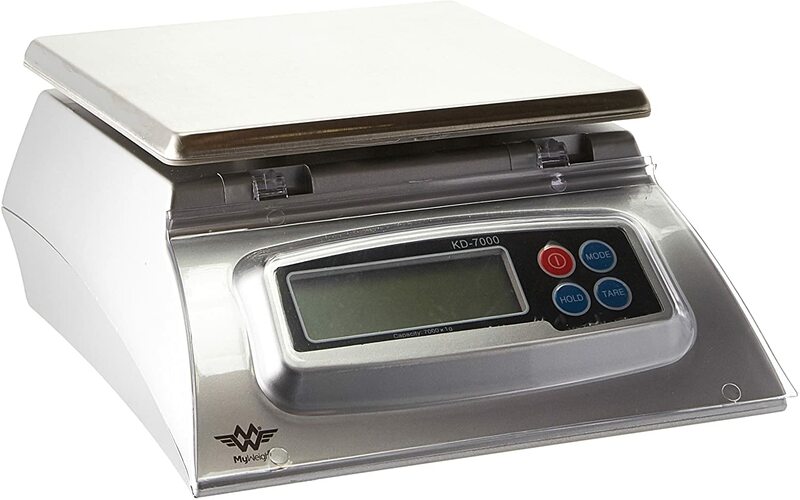 With a large 7 kg capacity and precise 1 gram readings this scale is incredible value. MyWeigh is a highly renowned quality scale manufacturer and offer a 30 year warranty. • 3 x AA Batteries (included) or DC 4.5-6V AC Adaptor (not included). Ac Adaptor: Not included. 5V, 300mA, 5.5mm OD, 2.5mm ID. Centre +ve.